I read “When breath becomes air” because I had heard so much about it, and because I am studying the art of writing memoir. I’ve published a memoir which I think should be rewritten from scratch. I finished a second one, but I am rewriting it from scratch. So I turned to Dr. Paul Kalanithi for wisdom and inspiration. Boy, did he deliver. 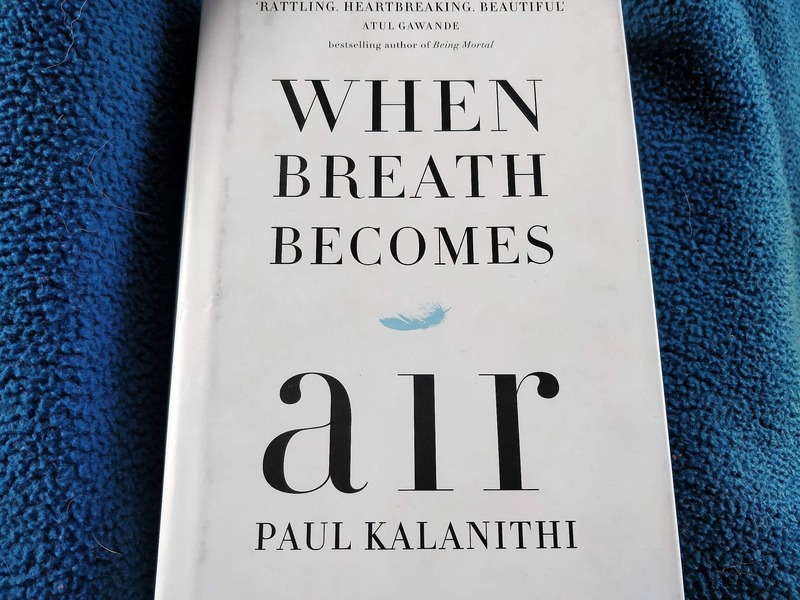 "When Breath Becomes Air" is a memoir we can learn from. It is the story of a life of hope, joy and expectation abruptly cut short by Cancer. This review analyses the "writerly" aspects of the book. In the process it reveals much of the story, so if you intend to read the book you may want to stop here. The biggest challenge in such a book is that the reader knows the end. It’s on the blurb, and in every single book review. With that critical piece gone, how do you still engage the reader? Paul does so by taking us along on his difficult journey. We live his life, share his love, joy & pain. We experience utter despair in his book – I wept more than once. His skill as a storyteller makes us his fellow traveler. Chronology is the first thing one notices. The book is mostly linear - it starts with Paul's diagnosis and ends with his death. He goes back into his youth where he describes his love for literature and medicine. He talks about human experiences as a medical student and a doctor. He makes you appreciate the sensitive nature of the work of a neurosurgeon - you understand the huge burden it carries. He touches upon his relationship with Lucy, his wife. He then brings the story back to the present. He moves across different times in his life and is able to tie all the pieces together into a single coherent narrative. The story covers two aspects of his life: professional and personal. Paul shares his angst over his career - and how his goalpost shifts with his life expectancy. His work defines his identity, but what work he chooses depends upon how long he has to live. If he has 10 years, he would continue as a neurosurgeon. If only two, a writer. His decision to finish his residency is an act of hope - that he may continue as a neurosurgeon. But despite completing it, he is unable to attend his own graduation because of a relapse. That is cruel, but he is matter-of-fact about it. Rarely does any self-pity come through. "Dont you think saying goodbye to your child will make your death more painful?" And he replies "Wouldn’t it be great if it did?" The reader forms a mental picture of him without having the traditional “Character description”. His whole persona is built up one spare detail at a time. His smooth skin turns up only when the blood thinning drugs cause acne and bleeding. He is obviously fit because he hikes and runs and cycles. A similar picture of Lucy would help. She is obviously a beautiful human that the reader learns to love, respect and empathise with. But a physical description would help a lot. A reader wants to see the characters. But we cannot not see Lucy because she has no physical being. The reader doesn’t know if she is Caucasian or black. Blond or Brunette. We can guess she is tall because “they fit so well” but that’s pretty much all you get to work with. She remains a concept in the story – lacking any physical form. Another small peeve was the use of the word "attending" as a noun. At first glance it comes across as a typo. After coming across it again and again, the reader realizes that it is a short form for "Attending Neurosurgeon". Medical jargon never explained. The story deals with much bigger questions - our mortality and the meaning of life. Paul believes god is important. That god matters. He accepts the fallibility of science. There is one scene towards the end when he is with his Oncologist Emma, and she tell him "You have a good five years left". And he says "She pronounced it, but without the authoritative tone of a true oracle, without the confidence of a true believer. She said it, instead, like a plea...like she was not so much speaking to me as pleading, a mere human, with whatever forces and fates truly control these things". Paul is a writer with great dexterity. One cannot help but marvel at his determination to not do an average job. He wrote late into his disease, but the book isn't just text piled on more text. He has worked hard to edit the story down to the bone to make it flow with clarity and grace. There is a certain humility with which Paul writes. Even when he talks about his successes - which are many - it comes across as humble, not boastful. As you read through the book, you get to like and respect Dr Paul Kalanithi. That is because he always comes through as human. I could relate to him. I empathize with him. And that is the sign of a great Memoir. 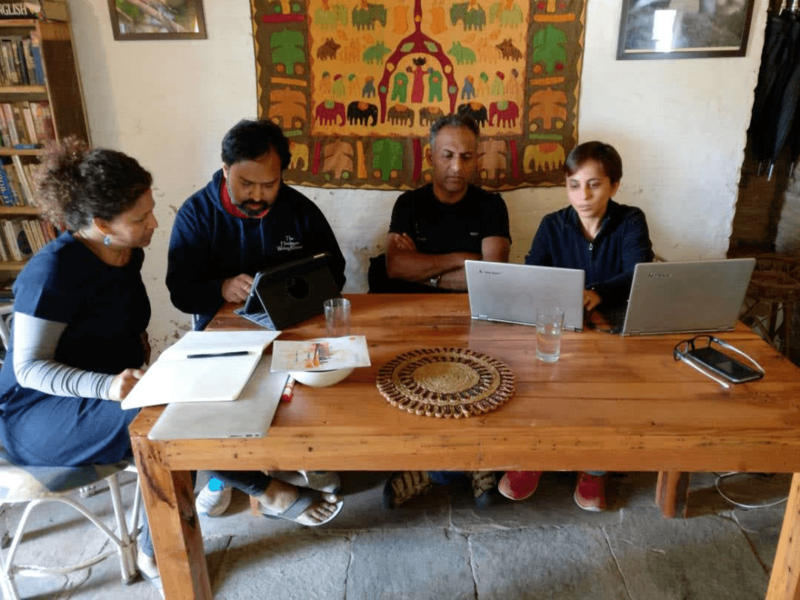 Note : In March 2020, the Himalayan Memoir Writers Retreat will be hosted by Alex Lemon & Chetan Mahajan.. 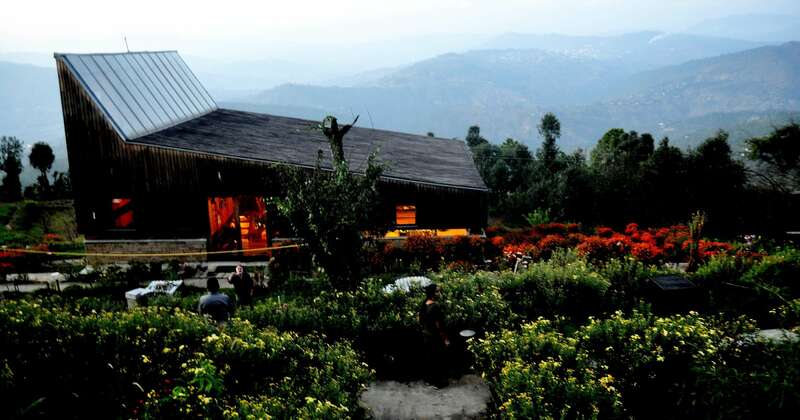 The retreat will be hosted at the Himalayan Writing Retreat in Satkhol Village, Uttarakhand, India, For more details, and to apply, please visit https://www.himalayanwritingretreat.com/memoir-writers-retreat-spring-2020/ . 15 days later, I still couldn’t get it out of my mind and decided to apply without a sample and see what happens. So I did, crossed my fingers, and thought, “well, if they don’t accept me for lack of a sample, fair enough”. Mercifully, Chetan Mahajan, the host of the retreat called within hours, and such was the warmth and welcome in his voice, that I immediately confirmed. Seven of us were on the same train to Kathgodam. From there, we headed up to Satkhol in 2 cabs, getting to know each other, making lasting friendships. As we arrived at Frozen Woods, Chetan and Kiruba rushed out to greet us along with Manoj, the owner of the property and a fellow participant. Somehow, it felt like we were meeting friends - there was no ice to break. We settled into our rooms, and soon set out on a trek, ending up on top of a mountain just in time to soak in a magnificent sunset. Coming back to hot pakodas lovingly made by Manoj hit the spot. That night, we sat around a bonfire and shared our stories. Each one powerful. Each one beautiful. Each one moving. This exercise in sharing and letting our guards down in a supportive environment set the tone for the next 2 days. The next morning, we dove straight in. We discussed the barriers and fears we each face getting started. These were addressed with constructive, practical inputs from everyone in the group. It was interesting to see that a lot of us had the same concerns. These were addressed in more detail over the course of the retreat. That afternoon, we got started on actually setting up our blog. “What? you mean now?” It was time to face the monster, look him in the eye. Who was I kidding? Probably sensing my discomfort, Chetan took me under his wing and helped me set up my blog. “That wasn’t too hard “, I thought. With newly gained confidence, I figured I would tinker with my blog that night, and make it look awesome. Get comfortable with the “dashboard”, you know. And of course, something went wrong. Surprise, surprise. 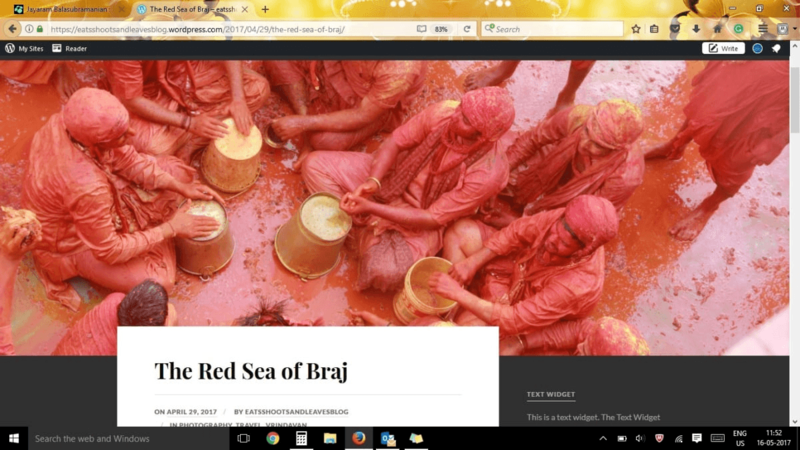 This is what my blog finally looked like. Such was the generosity of spirit and helpfulness, that everybody came forward to put me at ease. We had formed a buddy system the day before and committed our goals to the whole group. I’d like to revise my goals please, if I may?! The group encouraged me to keep working at it and helped me with my blog. “I can do this”. The last day, everything finally co-operated and I presented my blog to the group. It wasn’t half bad. Nothing was where it was supposed to be, but it looked pretty darned good! I had crossed a barrier. Did the retreat do everything it promised? Hell, yes! Have I overcome all my fears? No. But I can, with a little help, which this loving and supportive group promises. Someday soon, this dinosaur will be a dinosaur no more. About the contributor : Ruchi Chauhan is the mother of two and lives in the Delhi NCR. She attended the Himalayan Blogging and Podcasting Retreat in the Kumaon Himalayas in April 2017. For upcoming Blogging events, please visit https://www.himalayanwritingretreat.com/blogging/ . Only Cohen could write a tribute worthy of Cohen. Nobody else has his gift. His poetry made me weep, and laugh. He took the irony and the cynicism, the wit and the sorrow – the essence of an entire life - and captured it in a few spare, masterful lines. That’s a bad metaphor being used to make the wrong point. In some circles, it is fashionable to look down at our noses at self-publishing. Just like it is fashionable to look down our noses at fifty shades of grey. But as you, gentle writer, decide to publish your book, here are a few things to keep in mind about self-publishing. 1. It destroys a bottleneck. You now have a choice. Once upon a time, an author had no option but to go stand at the door of a publisher and grovel. The publisher was god – sometimes benign, but to many, seemingly heartless. But even publishing professionals are human. I know many people from the dark side & I don’t think they are heartless. It is just the nature of the industry which makes them seem that way. But I digress. It felt like a whimm on which the publisher rejects your precious manuscript or consigns it to the slush pile. is on the whim the publisher would turn his back on you. That happened to a no-name author called Stephen King. His first novel “Carrie” was rejected by 30 publishers. Back then he had no option so he stuck it out and eventually found a publisher. In today’s day he would have had an option. Yes, it’s true. Only 8% of self pubished authors make more than 5000 dollars on their self-published books. As opposed to 20% of traditional publishers. But at least it gives you the option to put your book out there, and give it a chance to find its readers. And maybe glory. Much better than the option of keeping your manuscript under your pillow and weeping over it every night. 3. With the Kindle, everything has changed. Adam Croft, an outrageously successful mystery writer from the UK, never stood in the line outside the publisher’s door. He published his first book directly on Kindle, and is today on his 8th novel with sales of over 500,000 copies. He talks about how he paid off his mortgage in just 20 weeks, thanks to kindle. The secret to that is the next point. When you publish with a traditional publisher, you are paying for their staff, their office rent, their air-conditioning, their coffee machine and their alleged expertise. Most importantly, you pay for their distribution muscle. But with the online medium, all that can be dispensed with. That is the reason why kindle and most other self-publishing platforms happily give you a 70% royalty, while the traditional publisher will haggle over 8% or 10%. So what is the moral of that story? Your chances of making it big are a little higher in a traditional Publishing set-up, but many fantastic authors self-publish now, and are outrageously successful as well. Anyone who rules out self-publishing is quite behind the times. Self publishing can free the writer from many constraints. However, that cannot mean anything less than your best should be put out there. There is value to editorial feedback. Refining and reworking a story is often what makes a book shine, and traditional publishers hold their authors to a higher standard. 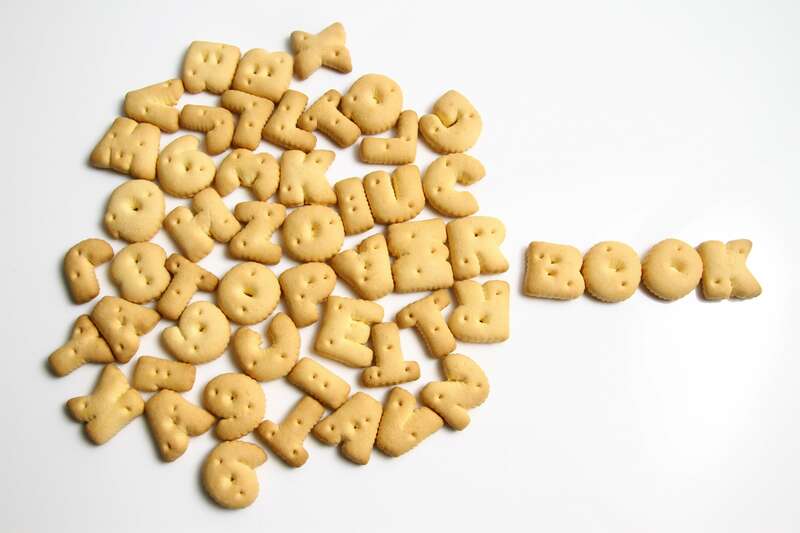 The worst thing a writer can do is to put something half-baked out there. Self-publishing leaves you that option, and you have to watch out for it. If you do self publish, there is also a decent chance that you may go on to be picked up by the bigger publishers. You can then turn them down and get some pleasure out of that. Note : in a developing country like India where Kindle penetration is still rather low, the above may not apply as much, but there is still a decent case for self-publishing, and it is only getting stronger as kindle apps catch on. The self-publishing of print books has also been used by big names like Amish Tripathi before they became big names. I have a confession to make – I am a sucker for three things: nature, photography and a good scotch. And when I first read about the Himalayan Writing Retreat, and it seemed perfect to get me started on that political satire I had long dreamed of writing - in the company of my three loves.